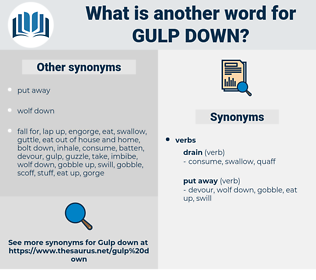 What is another word for gulp down? 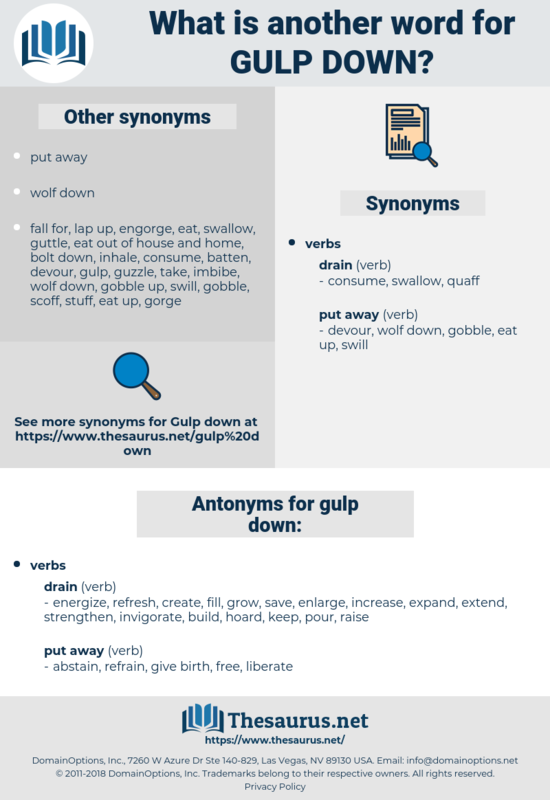 energize, refresh, create, fill, grow, save, enlarge, increase, expand, extend, strengthen, invigorate, build, hoard, keep, pour, raise. abstain, refrain, give birth, free, liberate.